Each year, the Chamber schedules a day trip to the State Capitol. Wearing 'Bemidji Plaid' vests, the participants attend scheduled meetings with State Representatives and Senators. Why go? This is the ideal opportunity to learn more our legislature and advocate for what you are passionate about. 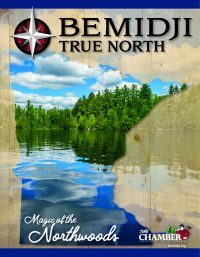 We are proud of the regional center that Bemidji is becoming. Bemidji residents continue to create long lasting relationships with MN legislators and their staff.